Enjoy the top 11 famous quotes, sayings and quotations by Julie Newmar. I'm magnificent! 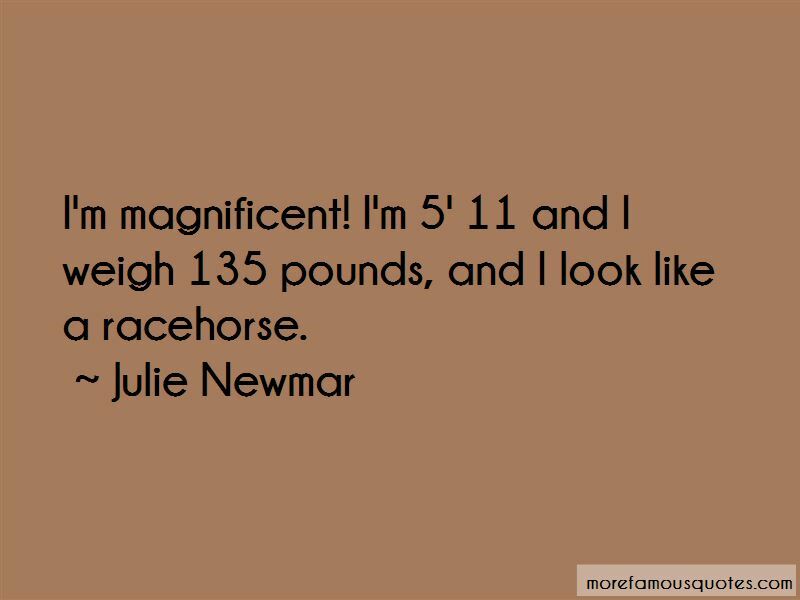 I'm five feet eleven inches and I weigh one hundred thirty-five pounds, and I look like a racehorse. Cats are sleek, cats are fast. Cats are ... well ... they aren't mean their just wiley. And they will grab your attention in the most seductive way. 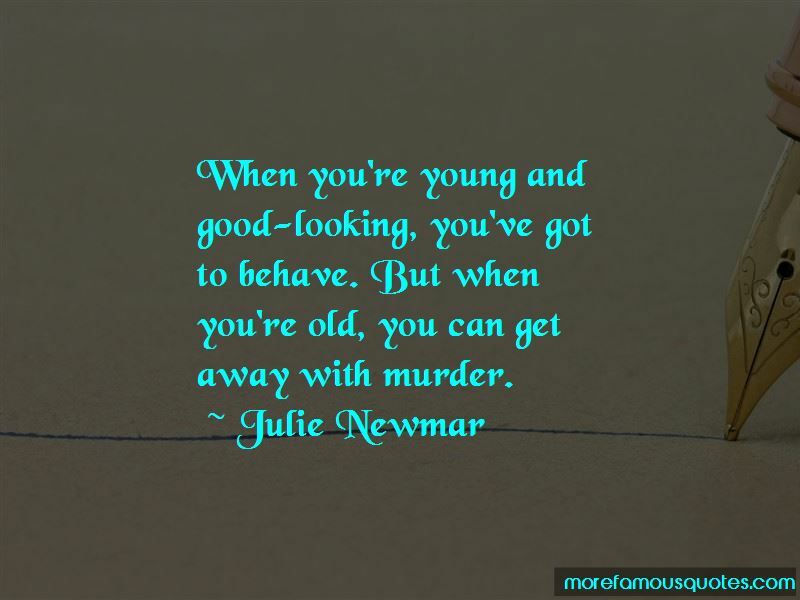 Want to see more pictures of Julie Newmar quotes? 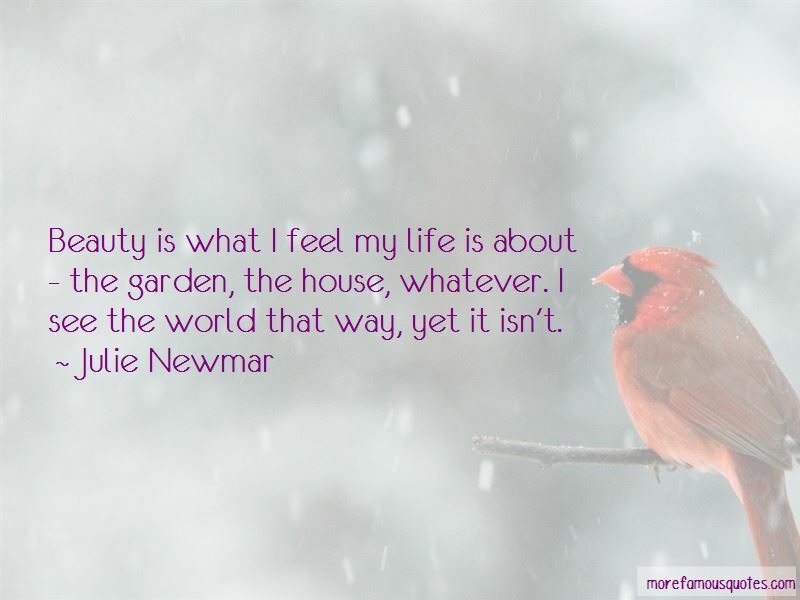 Click on image of Julie Newmar quotes to view full size.